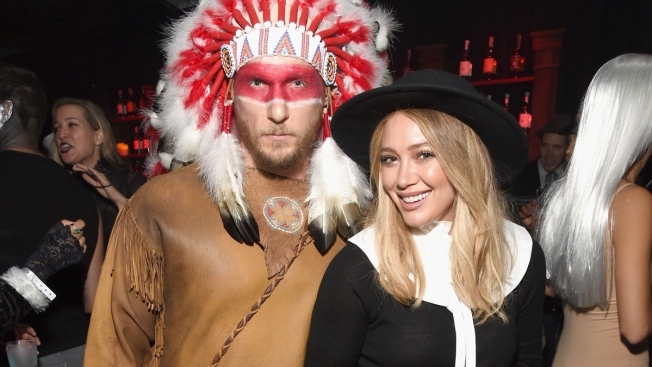 Hilary Duff is apologizing for dressing up as a pilgrim for a Halloween party while her boyfriend put on a headdress and face paint to go as an American Indian. Duff and boyfriend Jason Walsh donned the Thanksgiving-themed costumes for a bash in Beverly Hills on Thursday. Duff got a swift social media backlash after pictures from the party were posted online. Many thought the costumes were racially insensitive. The actress responded on Twitter Sunday, writing that she was "SO sorry" to people she offended with the costume. She says it wasn't "properly thought through." I am SO sorry to people I offended with my costume.It was not properly thought through and I am truly, from the bottom of my ❤️sorry. Walsh issued his own apology via Instagram, saying he "meant no disrespect" and wouldn't have made the same decision to wear the costume in hindsight. I meant no disrespect. I only have admiration for the indigenous people of America. In hindsight I would not have made that decision. I apologize to anyone I may have offended.